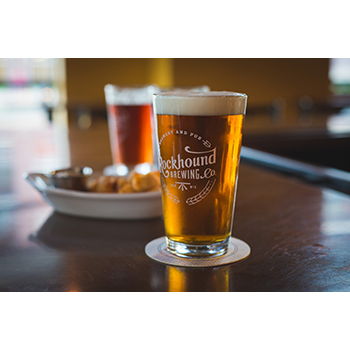 Rockhound Brewing Co. is a neighborhood brewery and pub close to Madison's isthmus and steps away from the Henry Vilas Zoo – a place for good beer, good food, and good company. We serve balanced ales and lagers made by hand in small batches right in the next room. We offer a handful of standard brews, a wide variety of seasonals and special brews, as well as collaborative and charity brews. 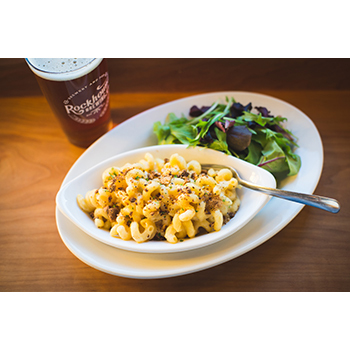 Our menu showcases creative, comforting dishes made from scratch, designed to compliment our beer. 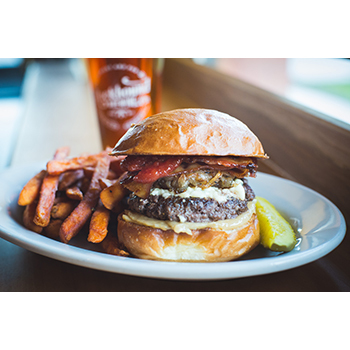 Not valid during Madison Craft Beer Week (April 26 - May 5, 2019). Not valid with any other special, coupon, or offer. One voucher allowed per table. Valid only on food and drink, not valid on merchandise.